Earlier this year, beloved Nintendo president Satoru Iwata passed away. 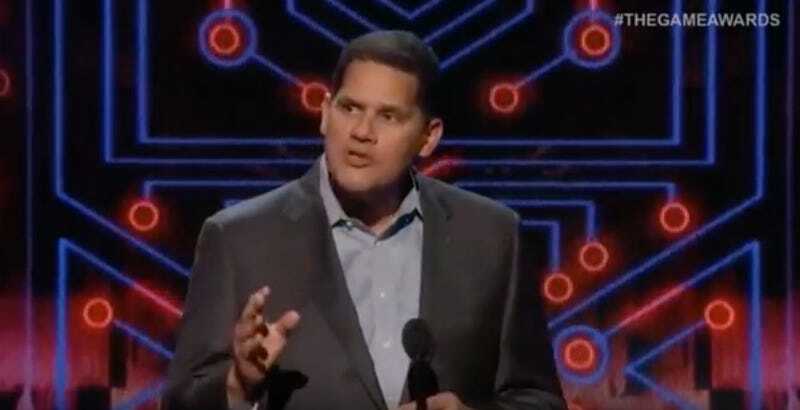 Tonight at The Game Awards, Reggie Fils-Aime paid him tribute. Show host Geoff Keighley also reminisced about a moment he shared with Iwata a few weeks before he passed away. He said Iwata looked “thinner than I thought he would be,” but he remained joyful and encouraging. “He was such an incredible man,” Keighley said before handing things off to Fils-Aime.